A Polaroid-branded camera that prints out business card-sized instant prints has been announced, as the brand's owner strikes a new partnership with Fujifilm. A Polaroid-branded camera that prints out business card-sized instant prints has been announced, as the brand’s owner strikes a new partnership with Fujifilm. 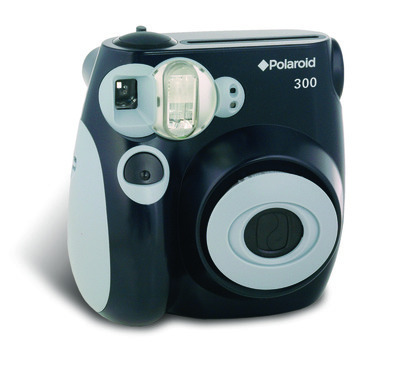 The Polaroid 300 boasts four film settings, an automatic flash and is powered by four AA batteries. ‘Instant is back!’ declares Polaroid. The Summit Global Group, which is the licensee for Polaroid digital imaging products, has also joined forces with the Aperture Foundation, an arts institution. There is, as yet, no word on a UK price.